Bananagrams Game – Pounds 11.97 from www.tesco.com/direct This multi-award winning word game is fast-paced and loads of fun for all ages. It takes zero time to set up and can be played just about anywhere – within reason. Select your teams, share out the lettered tiles and start spelling out words, creating individual crosswords to get rid of your play pieces first. 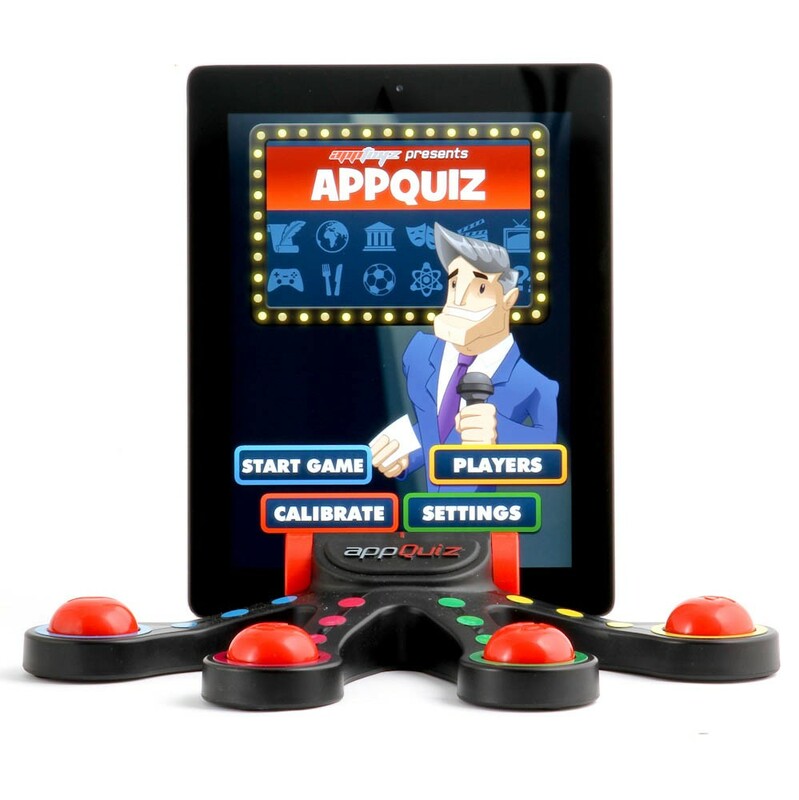 AppQuiz – Pounds 29.99 from www.apptoyz.com Owners of the iPad, rejoice. This is what the world’s top tablet was made for – a gameshow/trivia quiz combined. Your host Chuck Boldheart controls proceedings on screen as you pit your wits against each other, buzzing in to answer the many questions across more than 30 categories in up to ten rounds of play. Perhaps you could even create a prize fund before you begin, just to up the ante a bit? Wobble Deck – Pounds 19.99 from www.smythstoys.com With very few toys in this category, this solo entrant in the sector tests your balancing skills through four multi-level games – copy wobble, wobbly statues, memory wobble and musical wobble. The manufacturers tell us it can improve kids’ balance, coordination and reflexes, but it will also induce grins in adults as they discover that they really aren’t very steady on their feet. Ravensburger Labyrinth Game – Pounds 17.10 from www.amazon.co.uk Your mission is to seek out the shortest route through the Labyrinth, which may appear far too straightforward at first glance, but many twists and turns await you. 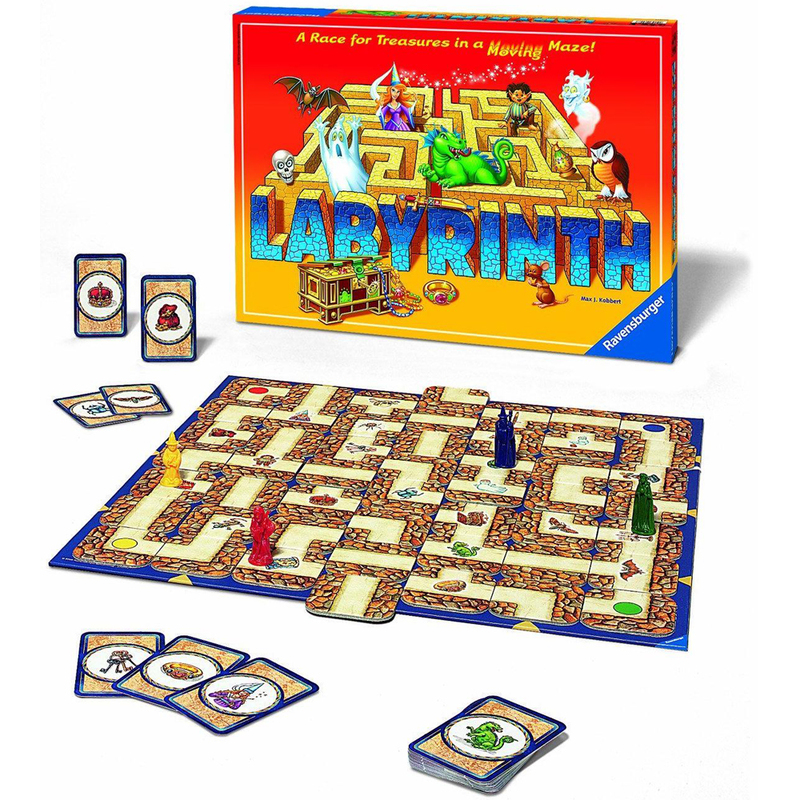 This superb family game leads you around the spaces to pick up the treasures and get back to the start, all while your opponents are changing the layout of the Labyrinth to help their own quest – or scupper yours.